So…. I had a dream one night this week that my hair was long and cascading down my back. 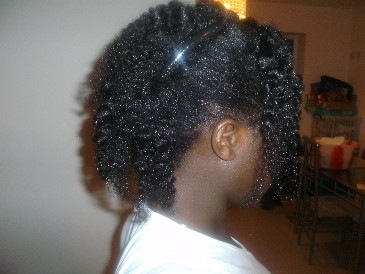 It was Bra Strap Length and was styled in what seemed to be a braid-out with sides pinned up and the back hanging down. Interesting. Is this dream a sign of what the future holds for my mane or is it that i’m dreaming about that which i desire? We’ll see. Anyway, i wasn’t able to wash my hair on Sunday as planned because it was my nephews birthday and Monday was quite busy so yesterday i determined to make time. 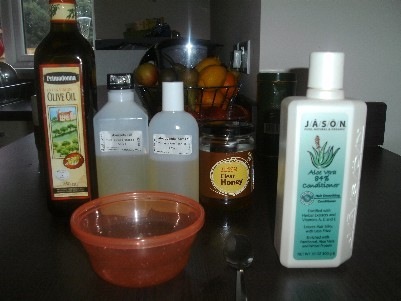 Firstly, i did a pre-cleanse treatment of aloe vera gel and oil. I sectioned my hair into four and applied the gel liberally to my scalp and massaged it in and then rubbed a little into the ends. 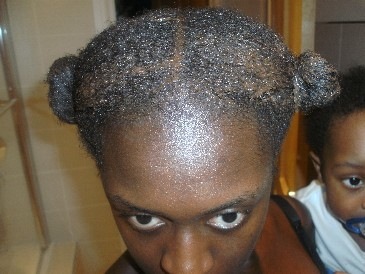 I then oiled my hair with my oil mix and and twisted the section. This was repeated for all the sections. I put on a plastic bag and left it on for an hour or so. I then went on to mix up my herbs. For a detailed breakdown of measurements and how to make it please see my earlier post on Ayurvedic Herbs. 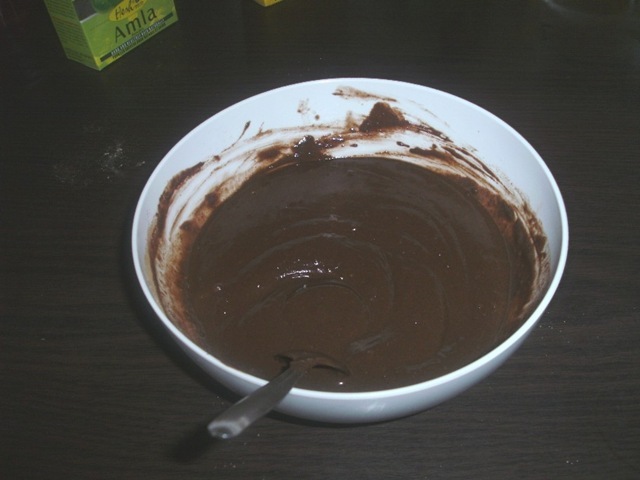 Here is what it looks like once mixed. I let it stand for a while before i applied it. 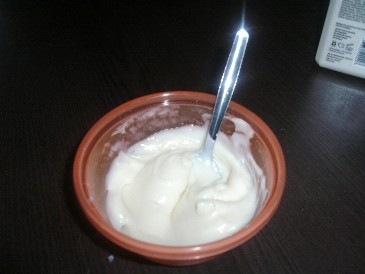 To apply the herb paste i took down one twist and applied a good amount of paste onto my hair and rubbed it into my scalp. I then wrapped up the section into a knot and repeated the process for the rest of the sections. Here’s what it looks like once i finished. I intended to leave it on for about 10-15 mins but in the end it was about 30 mins and it went a bit dry. So with the herbs in my hair i went downstairs to mix up my deep conditioner. The conditioner i used was JASON’s Aloe Vera 84% Conditioner. 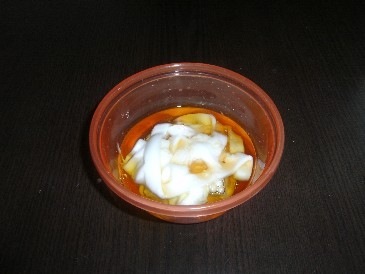 I also used honey, olive oil, avocado oil and macadamia nut oil. This is the first time i’m using this conditioner and i was quite shocked at how thick it was. So thick that i could just about get it out of the bottle. 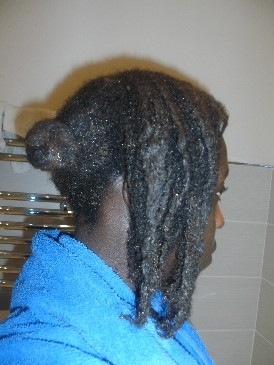 Once i had my deep conditioner mixed i washed out the herb mix by taking down one knot and thoroughly rinsing. Feeling my strands as i rinsed out i noticed how ‘fat’ and strong they felt. I’m really glad i gave these herbs a go. They really seem to have a positive effect on my hair. 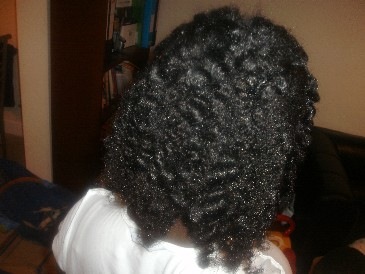 Once rinsed i added my co-washing conditioner to the section and rinsed out. Applied some more conditioner and then detangled, first by using a wide tooth comb followed by a Denman brush. I make sure i take my time with the brush as i don’t want to cause any damage. I start at the end and work my way up. If there’s a slight bit of resistance i take the brush out and then start at the ends again. 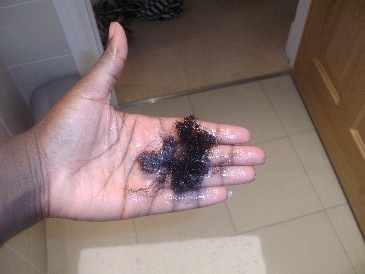 I must admit, when i looked at the amount of hair that came out once i detangled my whole head, i was surprised and elated. I have been getting a lot of shedding and that’s one of the reason’s why i decided to take my hair on a journey and see if, by paying it a little more attention, it could become healthier and stop the excessive shedding. Well i’m absolutely delighted. The amount of hair that i saw on the comb and brush was a very minimal amount which means that all my hard work is paying off. I’m now seeing how essential brushing is in the detangling process. 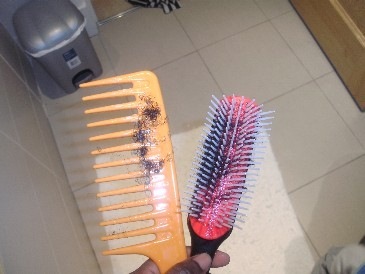 The comb gets rid of tangles, but the brush gets rid of the shed hair. 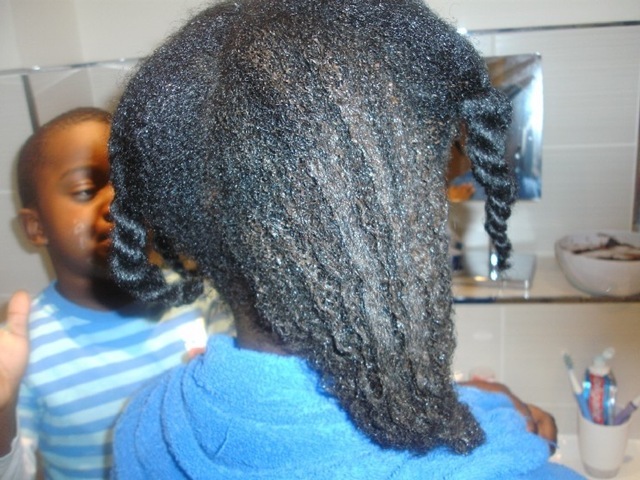 Since i’ve added brushing to my detangling regime i’ve noticed a significant reduction in loose strands during the week. Much less shedding. 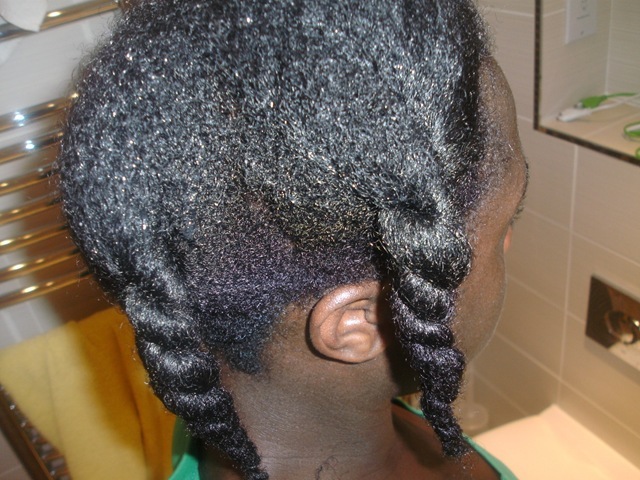 Once i detangled, rinsed and re-twisted all the sections, i towel dried my hair and then, one section at a time took down the twist, applied the deep conditioner and retwisted. I put a plastic bag on my head and left it on for about 2 hours. 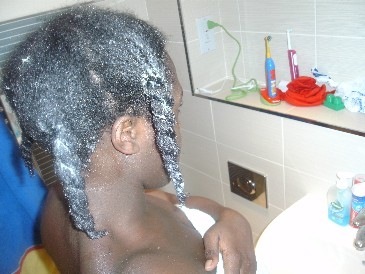 I then rinsed out the conditioner without taking the twists out and towel dried. 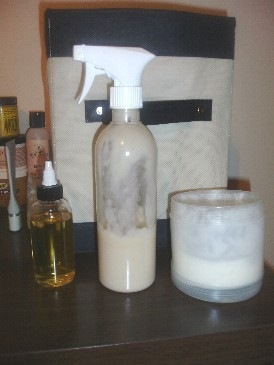 I then added my leave-in conditioner, shea pomade and hair oil to my hair and oiled my scalp with the shea pomade also, one section at a time. 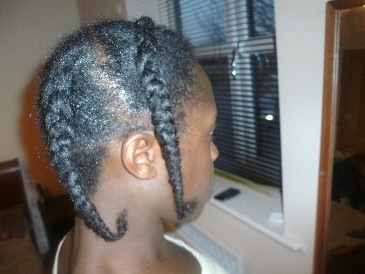 I then cornrowed each section and air-dried. I have to admit, my hair is the softest it’s been. I keep touching my ends and chuckling to myself. Is it the new conditioner? Is it the herbs? or is it the mix of oils i added to my Deep Conditioner? I think it’s all of the above.